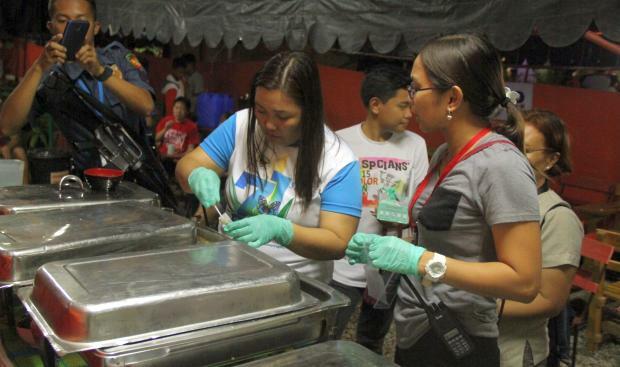 ORMOC CITY— Spoiled pork curry might have been the cause of food poisoning that downed at least 70 athletes from the Biliran schools division in this city on Saturday night. Staphylococcal infection of a pork curry served to the athletes possibly made them ill, according to Dr. Edmund Kierulf, chief of the Ormoc City Health Department. In a press conference at the City Sports Complex on Sunday, he said 15 athletes remained at the hospital while 55 had already been discharged. The athletes experienced vomiting, nausea, abdominal pain and dizziness after eating dinner past 7:00 p.m. at the mess hall of Ormoc City Senior High School where they were billeted for the Eastern Visayas Regional Athletic Association (EVIRAA) Meet, which was formally opened on Sunday. Kierulf said his office had already taken samples of the food that were served for dinner on Saturday and had them sent to the Department of Health. Results of the test were expected on Monday. Based on their investigation, Kierulf said the pork curry served to the athletes already smelled bad. Staphylococcal infection, he said, usually attacks 30 minutes to six hours after food ingestion. “Even the policemen who ate the pork curry suffered abdominal pain, but did not suffer the same fate with those hospitalized,” Kierulf said. Some 10,000 athletes and coaches from 13 schools in the provinces of Leyte, Southern Leyte, Samar, Eastern Samar, and Biliran joined this year’s EVIRAA Meet. Of the number, 821 people came from Biliran.